Below you can read testimonials from people who have attended Margaret Craig’s Reiki Evolution training courses in Glasgow, Scotland. “The course content was comprehensive and indepth but without being overwhelming. To be honest, although it’s only the second course I have completed with Reiki Evolution (and definitely not the last), the course was what I have come to expect from you – brilliant. The course materials were fantastic; very easy to follow, clear and concise. I particularly like having the manual and cds there to refresh my memory at any stage – not something I have seen other course providers offering. The live training day with Margaret proved again why it was the right decision to study with you; she is a wonderful asset to Reiki Evolution. A warm welcome and calm and relaxed atmosphere enabled me to ask any questions without feeling daft and experience the day to its fullest. Margaret’s ongoing support (both on the day and since) shows her commitment to her students and helped to boost my confidence when treating people. “Once again your dedication to informing us, without any bias, about Mikao Usui’s original system is such a breath of fresh air compared to what is out in the public domain. For many years I’ve had a deep interest in Japan and what you are teaching fits so well with my humble understanding of the Japanese culture. Your format for pre course study, support and all your documentation is comprehensive and much valued. My weekend course with Margaret was one of those special moments in my life when you know that you are in the right place at the right time. It’s like visiting a close friend; she makes you feel so welcome. Her compassion and understanding shines. Her expertise in guiding you through all that is needed to be taught and the support she gives through your experiences on the day and after the course is wonderful. 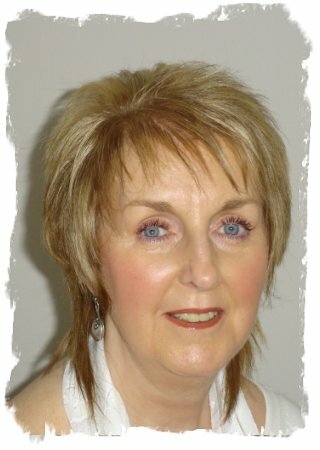 Margaret is a fantastic representative for Reiki Evolution in Scotland. “Just to let you know that I thoroughly enjoyed last Saturday at Margaret’s beautiful house. Margaret is such a warm, lovely, caring person and made us very welcome in her home. I felt that she was deeply passionate about Reiki and I am glad that I chose her to be my Teacher. I went along having studied the workbook, and having taken sneaky peeks at other students experiences (I could’nt help myself!). I tried to keep an open mind but could not help but wonder what I might happen. Have to say I was blown away by the day, and by my experiences which just got better as the day progressed. Following on from then I have been practising my meditation every night (except for last following a birthday night out!! )and have felt so completely happy and rejuvenated! I think that my experience was quite life changing and I really mean that. Won’t go into details but I feel as though great weights have been lifted that had been present for a very long time. My sister asked me to give her a “treatment” last Sunday. I was a little nervous as might be expected but was glad to find that the tingly shocks were still present in my hands and it was lovely. She said that she felt so much more calmer during last week than normal, amongst other things. “The Course manual and CD’s were excellent. I enjoyed the live day, interesting experience, nice group of people. Margaret made us all very welcome and relaxed in her home. Margaret is clearly a very experienced teacher with a most pleasant manner. She facilitated very well so we all felt free to ask even our daftest queries. Everyone had all their questions answered. “The course was very enlightening,the workbook and C/Ds were fantastic. Margaret is a tremendous teacher. I was pleasantly surprised to find the group in which I had my first attunements made up of such lovely people. “When I first started looking online for a Reiki teacher I was initially drawn to Reiki Evolution because you issue the course material in advance. I like to know as much as possible about anything I undertake beforehand so your style of teaching suits me very well. I think your course material is excellent and it was great to be able to absorb all the information and practice the exercises at my own pace. I felt well prepared for my live training with Margaret and was able to fully enjoy the experience on the day. Margaret is a wonderful teacher and a very lovely person and made my day an unforgettable experience. “I thoroughly enjoyed the Reiki 1 course. I found it an extremely relaxed & comfortable environment in which to learn & our teacher Margaret was excellent. I had an amazing day! It was really helpful to work with a partner, to share our different experiences & give each other a treatment; I really enjoyed learning from that. “I wanted to express to you my gratitude to Margaret Craig: I attended a Reiki Master/Teacher course at her home, booked for 27/28 November, I was able to attend on the Saturday but not on the Sunday due to severe weather conditions, Margaret accommodated me on the RMT course she was running the following weekend so I attended that on the Sunday. Both days were excellent and it was good to do the first day with one other student as it was a more intense learning day. The second day was spent with 4 other students and the energy in the room was amazing. Margaret is such an excellent teacher who is prepared to share without reservation. I am very humbled by the whole ‘Reiki’ experience and look forward to my ongoing learning. “The course and its content has met and exceeded my expectations. I use the Reiki meditations CD every day to aid my personal development, your voice and the “music” seem to aid the flow of energy and help open me up and to be a clearer channel. I have enjoyed the manuals and the instructional CD’s for both courses and have found them to be informative, concise and easy to read. I don’t have any complaints. 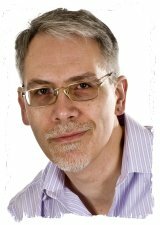 “I found the whole experience amazing, from the moment my manuals/cd’s arrived, which are excellent quality and helped me immensely with the live training and set me on my journey with Reiki Evolution. My teacher was Margaret Craig, I travelled from Inverness and recieved such a warm welcome and offered a cup of tea, which was gratefully accepted. I felt comfortable from the moment I arrived, the whole day was informative and Margaret was so interesting and knowledgeable, in fact she is amazing and I felt a lovely warm connection to her, which enhanced the whole course for me. I initially looked for a teacher that was’nt too far from were I lived, but distance would’nt have been my final decision as I felt we had to connect!…Margaret Craig is a really lovely lady…as I told her, her name seemed familiar to me and that she looks just like a lady who lives down my road! She has a double! I had already been going through some sort of clear out…as if Reiki was already preparing me! so one of my first questions to Margaret was going to be,’ is it possible to feel a clear out even before I’ve been attuned’!…but as we were casually chatting she answered my question even before I asked it! of course the answer was yes. After my first Reiju empowerment. I felt, what can only be described as severe butterfly’s in my stomach and solar plexus area. In my second empowerment I had a very powerful release, Margaret was very good and told me that I am safe and to just let go! I was actually sobbing! but I stayed in my seat, I then felt a calmness come over me then I quietly cried again then I became calm again. My third and final empowerment was nice and calm and colourful! Margaret is very knowledgeable and patient with me and the other four ladies there. I enjoyed the chance to give and receive treatment as I’d never had a Reiki treatment before!….I do feel confident enough to go and do a full treatment although I haven’t had the chance yet. Thank you for adding me to the Reiki Evolution ning site. It is full of fascinating stuff I’m still feeling my way round but it is a fantastic idea! One of the best things about this course is the ongoing support and advice! It is great to know that there is always going to be someone to talk things through with if need be! I think the course is perfect the way it is, no improvements needed! I have been doing my Hatsurei and self-treatment meditation every day and practicing on my husband, but only head treatments! I feel the energy flowing and find it easy to merge with it…I sleep much better and fall asleep with one hand on my heart and the other on my solar plexus! “I think your CDs and manual for level one and two are excellent in presentation and scope of the information provided. I would say that the information in the manuals exceeded my expectations. The Reiki master teacher, Margaret Craig was very pleasant to talk to. She was very enthusiastic about Reiki and I enjoyed her company. Margaret’s home was very clean and very well presented. “The course is very comprehensive and did meet my expectations and a bit more. The course materials are well presented, easy to understand and value for money. ”The Reiki Evolution, Reiki 2 course contained lots of information about the Usui Reiki system, which are the latest updates from Japan. The course content holds your interest without being too complicated. Everything is simple, flowing and feels so natural to just sit and submit to the wonderful earth and heavenly energies. Anyone doing the Reiki Evolution, Reiki 2 course is in for something special when you learn to recognise these energies. I tried not to have any expectations of the course, however I just felt it would be special. The other students, location and teacher on the course made this a great day. The course manual and CD are what makes this course different from others. Simply follow the instructions when you receive the course manual and CD. Any questions you may have can be noted down on the Questionnaire, included in the pack. You find that these questions will be answered as you work your way through the manual and listen to the CD. If you can imagine having your teacher beside you at all times, guiding you in the right direction with the exercises. Of course, the benefit of this is that the disc can be replayed if and when required. It’s such an easy way to learn Reiki 2. After the simple and effective home study course, I attended the live course with Margaret Craig. This gave the opportunity for the teacher to assist me with any questions or concerns I may have had with the practical side of my learning. The master teacher is very knowledgeable, a lovely & interesting person to spend the day with to receive these flowing empowerments. The day of the live course passed so quickly, however the smiles last so much longer. However, your manual and CDS are so concise and for me they cleared away all confusions. Having followed all your instructions I was well prepared for the training day and the meditation CD is now part of my daily ritual. I was thrilled that you explained about possible clearout. I have been through this, and then some, but without understanding what was happening so your explanation made total sense. I have done all the meditations so can’t wait to move on now to degree 2. The actual training day was not only good fun but also enlightening. Margaret is not just an excellent master, she clearly had similar beliefs and interests to me and I found her fascinating. I found the empowerments very calming and I enjoyed the opportunity to practice reiki positions. In all it was a lovely experience and I gained a lot of clarity. I now know that I truly understand the Evolution system. I have never slept so well! ”I thoroughly enjoyed doing my Reiki 1 course. The materials were sent quickly and are of excellent quality – clear, concise and easy to understand. Reading and listening to them did not feel like a chore, and time flew by most enjoyably. The content was very interesting and at no time did I feel pressured to go over and over the manual as it seemed to sink in so easily. The live course with Margaret Craig was very informal and easy going. She was wonderful and patient and nothing was too much trouble for her. “The reason I chose Reiki Evolution when I first started reiki was that I liked the emphasis on working on yourself rather than it just being a complementary therapy, and I have been really delighted with the materials and training I have received. For both levels 1 and 2, I found I listened to the CDs in the car on my way to and from work and this worked really well to reinforce the main points. I liked the fact that I got the materials well in advance of the course and was able to read and absorb the information at my own pace. For level 2 this meant I had plenty of time to practise the symbols. I still always use the meditations CD for hatsurei ho and the self-treatment meditation, and found it useful that I could practise the distant healing meditation and the energy meditation before the level 2 course. “The manual (Shoden) is exceptional , easy to follow & understand. The 2 CD’s are excellent & reinforce the manual to a great extent. The meditations CD is superb. The course was well above my expectations & kept my interest. The live training was certainly interesting & quite an experience. The teacher Margaret Craig explained everything & answered my questions satisfactorily . It was a delight to be taught by a lovely lady. I do not think you could improve your course as the content and practice has been well thought out. “I thought that the course content was very informative with lots of background historical information as well as good solid practical advice. I enjoyed the course very much. I felt I had plenty of time to read over the manual and listen to the cds before the live course. The cds and course manual were excellent giving an insight into how reiki came about, I especially liked being talked through the meditations and treatments on the cds. the manual had lots of information and the illustrations showing the hand positions were very good. “I find your courses are top notch. I always knew they were very well structured and the material you give out is second to none. I find the audio versions of the manuals so easy for me as I can listen to them on the way to work. I found the DVD of the empowerments and attunements great to help me practice along to. I went on a couple of other courses this year and it just made your courses stand out even more. “I thoroughly enjoyed the course and gained so much from it.My teacher Margaret was absolutely wonderful, walking into her house was like receiving a massive hug! She put me at ease straight away and I felt extremely comfortable in her hands. I found the course materials and CD’s very helpful and easy to follow. All in all the course exceeded my expectations and I feel that it has had the most profound and positive effect on my life. I cant wait to do the next one! “The course content was really good for me and I never really had any expectations of what to expect prior to going. Thanks for early access to the digital content as time was tight between applying for and actual date of course. The printed materials are excellent – very well produced and a great reference as are the mp3 files/cd content – which help me a lot to get the best from my study.I thoroughly enjoyed the course with Margaret and my fellow student – we all got on well and I feel as there was only 2 students we got a lot of attention from Margaret, which felt like a bonus. During one of the attunements she gave I felt what i can only describe as Joy and thought i might burst out laughing. “I attended the June 7 Reiki II with Margaret Craig and it was excellent in all respects. 1) Course materials- even better than the material you sent me 10 years ago when I last did Reiki II with Margaret- so clear and engaging, especially on how to draw and use the symbols. The CDs are invaluable and really get the energy flowing. 2) Margaret remembered me from a decade ago which meant alot to me – like meeting up with an old friend/wise owl. Margaret is incredibly kind and perceptive and I sense that she gets a lot of that knowledge from reading personal energy/auras which is a gift I want from a teacher as it gives great wisdom and authority to their teaching. I felt this from Margaret last time and, combined with the Reiki Evolution materials and technique is why I went back to Margaret. 3) Venue- Margaretś house had a wonderful energy- I wanted to have a nap on the sofa as soon as I arrived! I can be very uptight so this was a great feeling. 4)Training day-I experienced a lot of tangible sensations during the attunements and meditations, which is something I really enjoyed last time also. Margaret imparted all the main points included in the materials and I appreciated the fact that Margaretś approach dovetailed with the course materials; Reiki Evolution is a truly professional training course. There is so much to learn but Margaret emphasized simplicity of practice which is confidence inspiring. Margaret also advised that she is ¨ on tap¨ for continuing advice and support. All in all I wont hesitate to recommend Reiki Evolution to anyone with an interest in Reiki. Did the course meet your expectations? yep! What did you think of the course materials (manual and CDs)? Very good! What are your comments about the live training, and your teacher? I loved Margaret! She was fantastic and creating a loving, warm, safe space. “First of all, I thought the content was just right for the level of the course. It was beneficial to have a good, sound introduction to the history of reiki and how it was transmitted through the centuries by different practitioners. The course met my expectations, definitely and I would recommend it to anyone. The course material was exceptional and really well developed for all types of learners. I enjoyed listening to the CDs, Taggart’s voice is calm and soothing and made a very useful learning tool. I thought that it was a very good idea to do some background work individually prior to the course as this gave me the opportunity to reach the live training already prepared and ready to experience Reiki ‘hands-on’. Needless to say Margaret was very professional and extremely willing to pass every ounce of knowledge but also helped me learning better by creating a loving and welcoming environment. I will go back to Margaret for my Level 2 as soon as I can. “I visited Margaret’s lovely home for my first level Reiki and absolutely loved it.She endured we all felt very relaxed and comfortable. I had worked hard on the pre course study but of course still worried that the others attending the course would have some deeper insight into Reiki than I. Instantly I was reassured that this was not so. The study materials really had set me up for the course and I found I was ready to take it all in. The course itself was more comfortable and relaxed than I thought it would be. I enjoyed it very much and came away feeling very revived! “I loved the course with Margaret. It was simple and straight to the point. The course manual and CDs were excellent preparation for the day. I don’t have any suggestion for improvement as I felt happy with my experience and would recommend the course to others. “I attended Reki 1 course with Margaret on Saturday. I wasn’t sure what to expect. However I really enjoyed the day and I am so glad I went. Margaret was very welcoming , made me feel at ease and delivered the course in a warm, but well structured way. I would love to go back and attend for the next course with Margaret once I am ready and I have consolidated everything I have learned so far. “What did you think of the course content? Comprehensive. There was a lot about the history, which maybe wasn’t necessary but I found that interesting and it gave me a sense that this was a no-nonsense course, grounded in a traditional paradigm. “The course I recently completed with Margaret Craig was very enjoyable, Margaret was a very welcoming host and very informative, I thoroughly enjoyed my day with her, she took her time explaining and showing me what to do. As you are aware I didn’t do my Reiki 1 course with Reiki Evolution but all I can say is I am delighted I found you. The course information I received before my live course was excellent after my Reiki 1 course I did come away quite vague as to what I was to do next, with the course material you supply before the the live course is so helpful and gives you the time to study at your own pace to understand and take everything in, then you can go and enjoy your live course without being bogged down with too much information. “I found the course content excellent revisiting the course manual and cds. Reinforcing what I had read and listened to on the cd. Additionally the empowerment’s received from Margaret were amazing very powerful, could not believe that this energy is all around us and can be used to help our selfs in so many ways and also other people.The only expectations I had prior to attending the course was that I would enjoy it as my colleague had attended a reiki first degree course with Margaret previously. She thought the course and Margaret were fantastic. The course exceeded my expectations not only did I really enjoy the course it was very informative. The course materials were excellent explained in a manner that was easy to understand. The order of both CD and manual was well set out when listening to CD prior to then reading the pages set out in manual done in a fashion that broke each section into a sequence that was able to follow allowing more time for learning rather than everything all over the place. “Margaret Craig was extremely welcoming and made me feel very comfortable in her home. She explained different aspects of Reiki throughout the day and was continually reassuring myself and the other student attending. She made everything so easy and simple to understand. Nothing was rushed and she gave us her undivided attention. She answered all our questions and referred us to the appropriate parts of the course book as the day progressed. Also Margaret gave us valuable information on Reiki in general and explained Reiki 2 and Reiki Master to us. She also told us about the group on Facebook. I found that the empowerments she gave me did have an effect on me. The meditations were deeper and I could feel energy as a “magnetic bounce” during the exercises, scanning and treatment. The other student felt heat from my hands during her treatment. Margaret gave us time to discuss the experiences we had practising meditation, energy and self-treatment from the course book. She also gave us direction to improve our skills especially during the treatments. She explained how to avoid bad posture, treatment table height etc. Our health was a priority to her. I felt really encouraged by her and certainly more confident. Margaret was an excellent teacher and also went out of her way to accommodate us at lunch break. She ate lunch with us and she showed a genuine interest in us. When I feel ready, I am going to go back to Margaret for Reiki 2. Margaret is a credit to your organisation. As for the course book I found the history of Mikao Usui extremely interesting. I feel the origin of any treatment is important as this gives the student and ultimately any clients a background to understanding the treatment. The photographs in the book are of immense help not only for correct positioning of the hands but also for visualisation in self-treatments, and how to position clients. The text was easy to understand, concise and not bulked out by continuous repitition of paragraphs. I found the cds a great advantage. The meditation cd is fantastic, I take this with me just about everywhere! “The Okuden course was excellent. The materials were easy to work through and informative. I listened to the cd several times. I also purchased some additional distant healing meditations which were useful. I found it straightforward to do the exercises in the course and to learn the symbols. Having the lines numbered was very helpful in remembering them. The day course was excellent and Margaret was again a most gracious and welcoming host. I again found the empowerments to be quite dramatic and powerful, as they had been in the first course, but in a different way. It was a most enlightening day. “I found the method of study offered by Reiki Evolution to be highly informative and intensive providing me with a wealth of foundational information that allowed me to gain a basic understanding of Reiki and to prepare adequately for the study day at my own pace. The information exchanged on the CD introduced me to meditation for the first time in a manner that was instantly beneficial and easy to understand. In relation to my instructor, what a lovely woman! Margaret opened her home willingly and immediately set the tone of a relaxed environment that set me at ease and prepared for a god days study. Margaret is clearly an expert in the subject and a skilled practitioner who showed a genuine warmth towards her students. Maybe of note…. I wear a Fitbit tracker that among other things tracks sleep and different levels of sleep. I noticed that on the day when performing and receiving a treatment my Fitbit recorded that I was in the deepest level of sleep for a period of two hours, hard to achieve even in a good nights sleep! “Having been on different Reiki courses in the past, I can wholeheartedly say that Reiki Evolution has the best setup that I have come across so far. It really worked well for me. Margaret was a delight to work with as a teacher and I really took away a lot from my time with her. My understanding of what reiki really is has been transformed. The course truly was a very enjoyable way to spend the day. The format of the course suited me so well. Being able to take my own time to become familiar with the material before attending the live course really was invaluable for me, I think more courses should be taught in this way. Listening to the CD’s whilst reading the book or practicing self healing seemed to cover all bases for me and I attended the live course feeling prepared. I can’t thank you and Margaret enough for providing me with such a wonderful learning experience. Not only has my understanding of Reiki evolved but my understanding of life in general has come a long way. Extremely helpful and lots of good information. Loved it as I have Dyslexia I found having all this information before hand was fab. On the day of the course I then could understand what Margaret was talking about. What are your comments about the live training, and your teacher, or the home study approach? What can I say about Margaret. It was a pleasure to be taught my someone like her. She made me feel at ease and did everything to accommodate for my health issues ie having fibromyalgia. Would not have anyone teach me my Reiki 2. “I find the overall tone of your material to be open to all, non-judgemental and fluid in nature. By not setting definite ‘Reiki rules’ it gives the practitioner the freedom to bring what you have taught into their own practice and make it their own. I think some people get hung up on doing things the ‘right way’ and I suppose that is a symptom of being in a 3 dimensional world where science tells us there must be measurables, or else it doesn’t exist. I believe that the more the practitioner explores and practises with Reiki, the more open they become to different ideas. I’m sure the energies work on subjective perception as much as they do on healing. Your courses allow a door into that ‘out of the box’ way of thinking, yet it is presented in a manner that is light and humorous whilst at the same time being informative and engaging. The course delivered more than I expected and I found the style of learning to be very useful. I think that to sit and listen to theory can be dull so having the course separated into home and live study is perfect. It gives the student the opportunity to learn at their own pace; especially with the range of teaching style offered. Margaret is an absolute delight to learn from. I find her warm, approachable and wickedly funny. She makes every student feel welcomed and special and she has the time and patience for every question. She represents you and your ethic very well. In terms of improvement, I feel it would be helpful for others joining the course from another lineage to know before the time of booking that there will be a lot of catch up material to read. Whilst I thoroughly enjoyed reading all the information – it is invaluable! – I did have to push myself quite hard to review it all in the short time I had before the course began whilst still keeping up with my university degree and home business. “The course did indeed meet my expectations, to begin with we had a small visualisation meditation where one of the students was every enthusiastic about seeing things…unfortunately I didn’t see anything and tried very hard not to be despondent…but when the Reiju attunements started I was astonished to see colours. LOTS of colour! Working with the 2 other students was really good as well. We all had different types of energy so it was fun experiencing and learning how to work with each other. I was glad that there were live training sessions nearby (I was still 5 hours away) as I find it so much easier being 1-1/4-1 instead of studying at home. I really enjoyed learning about how the Japanese Reiki was founded and its divergence into Western Reiki. I’m glad that I’m learning and training in both and will definitely be re-reading the history again and again. I haven’t listened to all the audio but what I’ve heard is very relaxing and easy to understand. Since doing my level 1 Reiki, I have given small sessions with my friends and family (skeptical and not so, all ages) and their responses have been amazing. All have said they felt so, so relaxed (one almost fell asleep) and they all felt differing reactions to the Reiki in the form of colour, warmth, tingles and pressure. “Regarding the Reiki Second Degree ( Okuden) on 27th May: the course content was excellent, having completed Reiki First Degree ( Shoden ) in 1998 via a different lineage, this was a breath of fresh air, totally inspiring. Thus this exceeded my expectations of the course. Both the manual and CDs are a great idea, giving the opportunity to fully understand the course using it before and after. Margaret Craig Reiki Master/ Teacher. Was an excellent teacher putting all at ease from the start of the course and being at one with all throughout the day. “I completed level 1 reiki with Margaret Craig in Glasgow last Saturday. It was a lovely experience. I’d trained in Western reiki many years ago but hadn’t practiced in a very long time & wanted to re-train from the start in the authentic reiki. I had been drawn to your website & knew it was the right training for me. The course materials are great. Lots of information to read & work through, but it never felt too much. Great resources to keep referring to. Learning with Margaret was lovely. I felt very relaxed throughout the day & Margaret was attentive to checking that I was fine & answering any queries. Receiving the empowerments was a calm & wonderful experience. What did you think of the course content? “I think that the written material is very well put together, easy to follow and interesting. It prepares you well for the meeting with the teacher. Did the course meet your expectations? Yes it did, I am very happy to have undertaken the level1 reiki and hope to do level2 soon. I feel it improved my perception of life/world. What did you think of the course materials (manual and CDs)? Very concise, informative, easy to follow. Like it very much. Still reading it and listening. “I thoroughly enjoyed the training with Margaret, she is so lovely and approachable. I went along with absolutely no expectations but still slightly skeptical if I am being honest. Margaret was understanding of this, I think because she must have known it wouldn’t last long! I spent the entire day being amazed at what was happening, it was wonderful. I thought I would be the one student who didn’t feel anything, just like you had mentioned in the course materials. But I could see colours, I heard noises, my hands tingled and felt warm, and I felt more relaxed than I can ever remember. The course materials are excellent. They are easy for a complete beginner, like myself, to understand even if they have never had a Reiki treatment or done any research on it. I especially enjoyed the audio files as they were relaxing to listen to but informative at the same time. The home study and day of practical training is perfect for me, it’s so easy to work around. I wouldn’t change a thing about the course, I don’t think you can improve upon it at all. It’s perfect as it is. Margaret was an absolute joy to learn from, she really is wonderful. I feel like I could ask her for help even after training and it wouldn’t be a trouble to her. She seemed to really understand my personality within a few minutes of me arriving and I felt very comfortable with her. It was lovely to learn from someone who is so passionate about what she does and the benefits that we can all gain from Reiki. I felt so confident when I left on Saturday night that I emailed the SSPCA to offer my help to their unwanted animals, so I will be putting my course to good use. I definitely want to take this further so you will no doubt hear from me again!